It’s going to take a lot for me to forgive Brighton & Hove Bus and Coach Company (open and shut case of car written off by bus whilst parked, refusal by nastiest of bureaucrats to settle insurance bill) but a recent rally organised to celebrate the firm’s 75th birthday did help somewhat. A sunny Madeira Drive was the perfect spot for the presentation of a fantastic collection of local buses from both past and present. 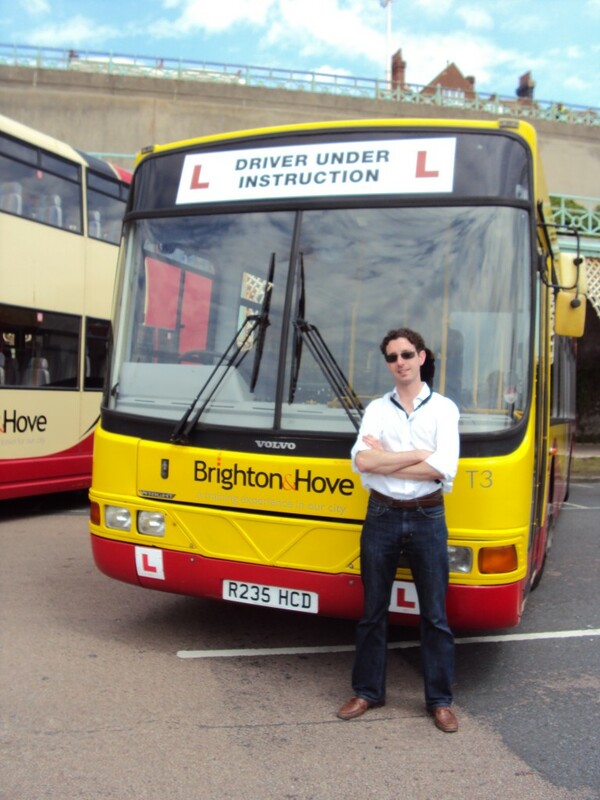 The first bus in the long line of display vehicles was the newest addition to the fleet, a 2009 Scania Omnicity. This section of the line-up was made up of buses belonging to the firm – some old like a 1965 AEC Routemaster; some new like a 2002 Mercedes-Benz bendy-bus. The old ones have so much more character though. 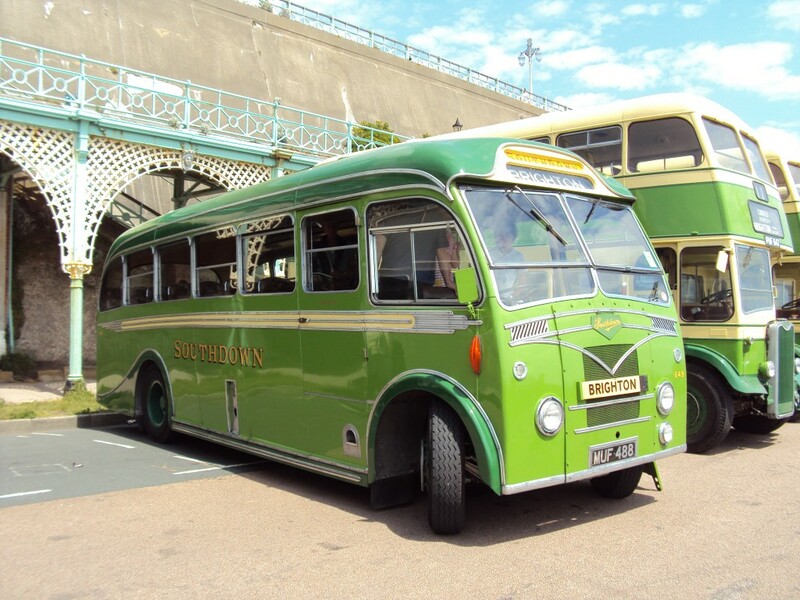 A quite staggering collection of historic buses in private ownership formed the second section of the line-up and featured my favourite bus of the day, Bob Gray’s 1953 Leyland Tiger TS8 Beadle painted in Southdown’s trademark green. Only 30 were built and Bob’s is the only one still in existence. The interior has some great details including Art Deco-inspired lights, a roller blind-style sun visor and a series of large wind-down windows for the passengers. This delightful bus, which has been painstakingly restored by Bob, goes out on display around a dozen times each year so is certainly no mothballed museum piece. The 75th anniversary relates specifically to the formation of Brighton, Hove & District, a company that was created in 1935 by the firm Tilling for its operations in this area. Various arrangements were in place long before and, indeed, after that date. The funniest moment of the day was watching a line of keen bus enthusiasts waiting patiently for a clear shot of the delightful ‘Brighton Belle’, a 1971 Leyland Leopard Plaxton painted in the colours of the famous train of the same name. After around ten minutes, the crowds suddenly parted leaving one just one person in the way of the photographers’ lenses. A couple of polite requests asking the lady to briefly stand aside resulted in the dippy individual thinking that she was to be the subject of the photograph. This misunderstanding was soon cleared up when a Lieutenant Colonel type bellowed out loudly to the amusement of all around, “Bloody hell woman – you’re no Brighton Belle. It’s the bus we want!” Classic.